U-shaped container crane is widely used in glass workshop, railway stations, docks, ocean freight and other glass containers lifted place. The clever use of mechanical devices gravity balance principle, easily lifting 20 ft Cape cabinet, high cabinet size plate glass. 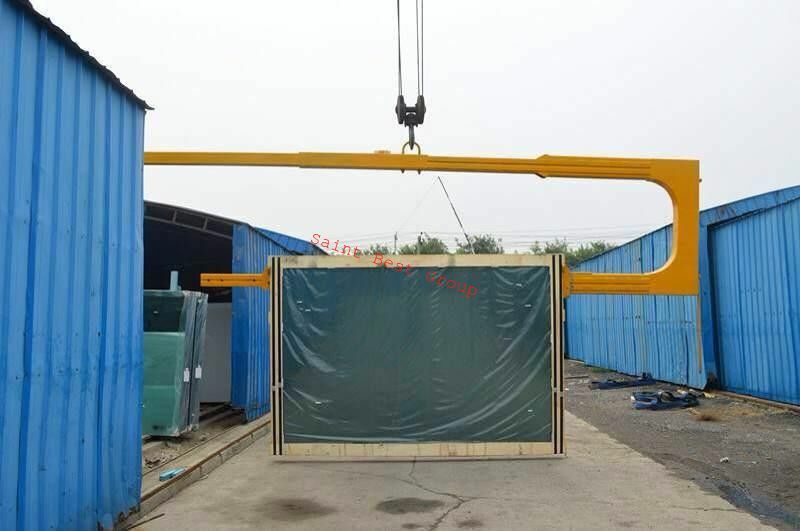 Lifting hanging wooden board with a frequency quenching process, safe and reliable, no longer need to wire rope lifting (for small gap between two wooden problems, this device uses subtle design for easy loading and unloading). But do not need artificial crane or invest more than 200,000 yuan and other large-tonnage trucks mixing operations. This device may not cause breakage of the glass, without damaging the container body, lower handling costs, safety and reliability, make full use of the advantages it can bring traffic venues. Container U-Shape Suspension arm is widely used in the glass factory workshop, station, wharf and places where ocean freight containers need to be lifted. This equipment ingeniously uses mechanical balance principle and is able to lift 20-foot glass whose size is similar to the standard and high cube container. There is no need for manual coordination or forklift truck. Also, it can make no damage to glass and container making it safe and reliable to use. The arm makes the cost lower, economically uses the field and exploits the driving advantages.